The Russian federation has awarded the Prime Minister of India Narendra Modi their highest civilian award, “Order of St Andrew the Apostle”. 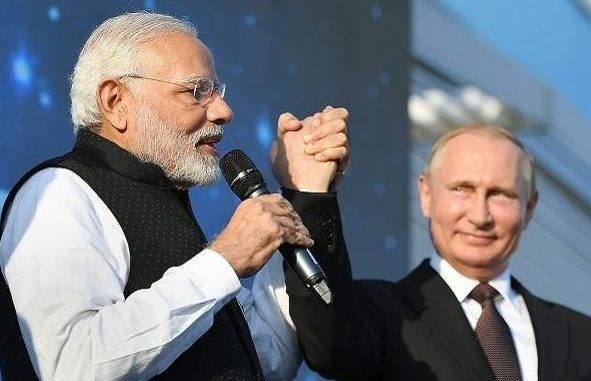 Russian embassy in a tweet said PM Modi was awarded the order for his “exceptional services in promoting special & privileged strategic partnership between Russia and India”. In 2017, the Chinese president Xi Jinping was a recipient of the Order of St Andrew the Apostle. With the Russian award, PM Narendra Modi has now been honoured with around seven top global awards. Quite recently, the Prime Minister was previously awarded the United Arab Emirates’s top honour. He has also been a winner of awards from countries such as South Korea, Saudi Arabia, Palestine and Afghanistan during his term in office.